Pictured here are people that have posted guest posts in the past: Derek ‘Deek’ Diedricksen, Merete Mueller & Christopher Smith, Brian ‘Ziggy’ Liloia. See all the current Guest Posts. 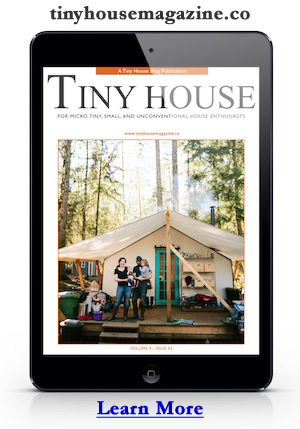 Real people writing about their personal tiny house (or simple living) projects, designs, or experiences. Tiny House Professionals sharing some aspect of their own tiny house efforts. What Makes a Post Great? Be authentic. Be yourself. Tell your story. Avoid sounding like a salesperson. Include lots of good photos, up to about 12. Place the first photo at the top, followed by some text (if not all your text), then follow up with more photos. Placing descriptive text between photos can also be a plus. Keep photos full size (select the large size when posting, and alignment = none). This will allow the images to span the full content column and avoid any weird word-wrapping around images. You must own the rights to the photos. Be sure to give credit to the photographer, even if it is you. Use real descriptive words in your photo file names. WordPress will include this as the description and search engines pick up on this as extra meta data. Write between 500 and 2000 words. Include relevant contextual links to word definitions, sub-pages on your website, links to your social media profiles, and other tiny house projects referenced in your post. Hyperlink the word or phrase that best matches the destination. Avoid using words like ‘click here’ – they don’t make effective calls-to-action. Include subtitles and lists (numbered or bulleted) to help break up content. On this page I used H3 subtitles for the different sections. Keep paragraphs relatively short to easier reading. Try to use good grammar and spelling – but don’t worry I’m not a critical editor. Avoid extra text formatting and use italics and bold sparingly. I don’t offer any payment for posts, nor do I charge a fee. I can offer you is exposure and traffic to your website. I’ll also post news of your post in my email newsletter and through my social media channels. Compare these numbers to the other tiny house websites you know – and you’ll see how they stack up. You’ll also see that when you post here you should get a good return on your time investment. You are free to include relevant contextual links to your website but no affiliate links or redirects. For example, I use a redirect plugin that allows me to define a URL on my blog that bounces to an affiliate link before it bounces over to the final destination page. Here’s an example https://tinyhousedesign.com/tinyhomebuilders/. Before clicking be ready to watch the URLs at the top. For an instant you’ll see an e-junkie URL before you land on the Tiny Home Builders website. This is useful because I can quickly change links without searching my whole site for each instance of the link. So if Dan (Tiny Home Builders) changes affiliate programs I only need to change this in one place. I suggest you use the safe redirect plugin on your website for affiliate links, but not in guest posts here. Why no affiliate links or redirects? Because I want to encourage people to promote their stuff here – not something else. I also may have no relationship with your affiliate programs so it makes it look like I’m endorsing them. To to keep things strait and avoid any conflicts I need to limit the use of affiliate links and redirects in guest posts. But feel free to post links to content on your own website. I was wondering if you or any of your contributors have ever built a small house on floats, barges or, pontoons. I know back in the fifty’s and early sixty’s there where many of them built, back then they would have called them “shanty house boats”.